Republicans across Minnesota gathered in local caucuses last Tuesady to vote in straw polls for Governor and U.S. Senate. 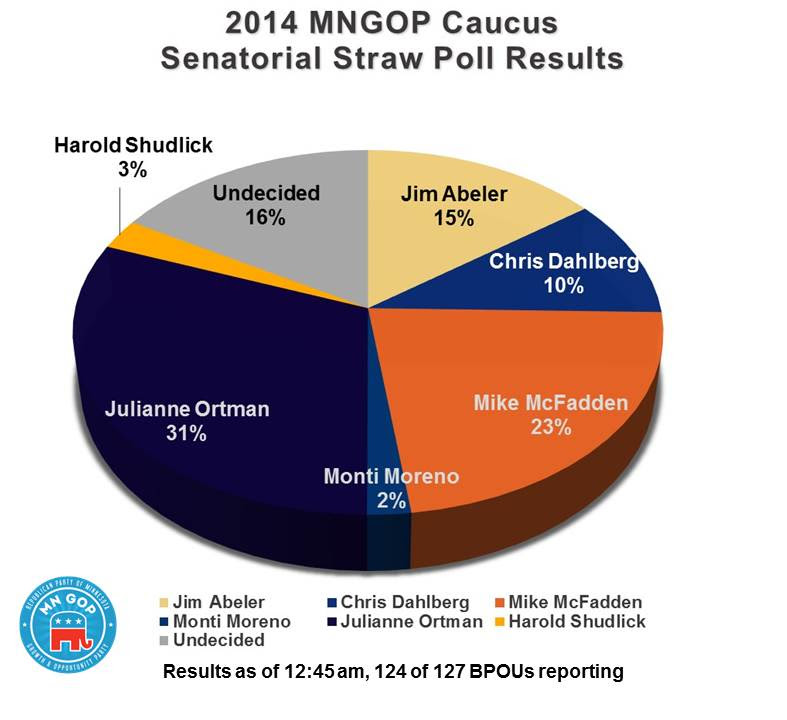 Minnesota State Senator Julianne Ortman won the straw poll for U.S. Senate with 31% of the vote. Mike McFadden came in second with 23%. 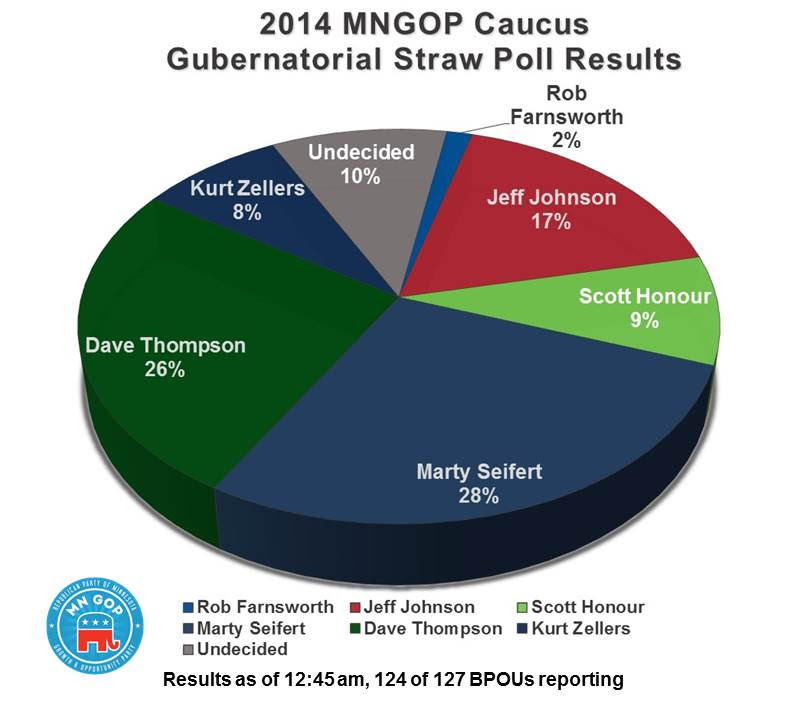 Marty Seifert won the Gubernatorial straw poll with 28% of the vote and State Senator Dave Thompson was second with 26%.